It can feel like a real slog getting through the dark winter months after Christmas. Often it’s a time for cranking up the heating, hibernating under the duvet and drinking hot chocolate. Still, there’s one bright event on the horizon at this time of year. That’s Valentine’s Day. For some, it’s the chance to remind a long-term partner how much they love them. For others, it’s the chance to spoil their other half, or even spark the start of a new relationship. 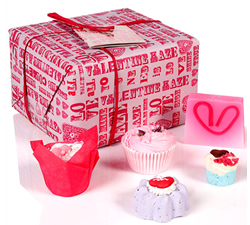 The classic Valentines Haze gift pack contains an impressive selection of soaps, bath blasters and mallows. 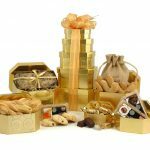 Handmade and wrapped in a package that screams love, this one’s for someone special who loves to relax in the tub. 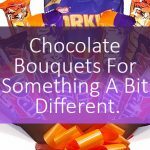 You cannot go wrong with chocolate on Valentine’s Day. 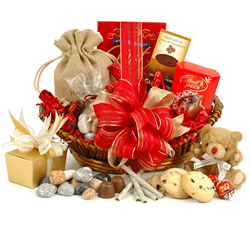 That’s why our Chocolate Lovers’ Hamper is such a favourite. 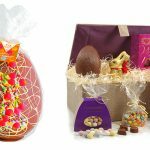 Packed with well-known and boutique chocolate treats, there’s more than enough for two to share. 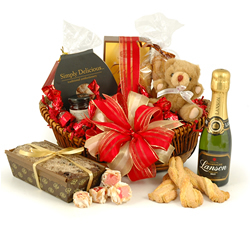 Pop the cork on a Champagne hamper and you’ll be guaranteed to impress. 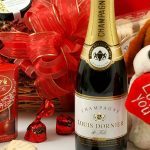 Filled with a miniature bottle of Lanson Champagne plus truffles, fruit cake and other surprises, it’ll set you up for a romantic day. And finally … it’s a cuddly toy! 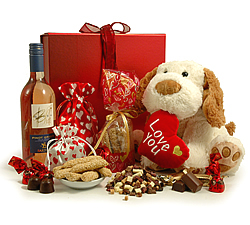 The centrepiece of the Cuddly Dog Gift Box is a soft, cuddly floppy dog who’s proclaiming his love. 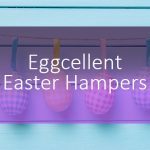 Don’t worry – there are plenty of delicious chocolates and a perky bottle of wine too. 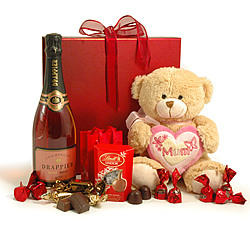 So, no matter what your style is, we’re confident we have a Valentine’s treat that’s right for that special someone. 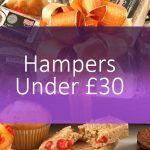 See our full selection of hampers and gift ideas now.